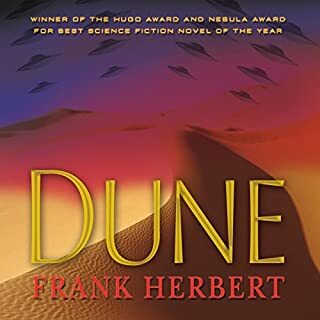 Based directly on Frank Herbert's final outline, which lay hidden in a safe-deposit box for a decade, Hunters of Dune will finally answer the urgent questions Dune fans have been debating for two decades. 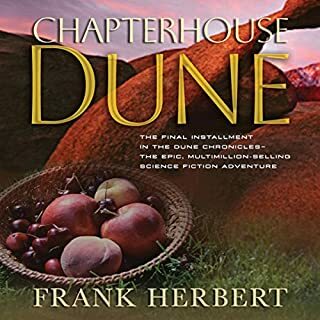 At the end of Frank Herbert's final novel, Chapterhouse: Dune, a ship carrying a crew of refugees escapes into the uncharted galaxy, fleeing from a terrifying, mysterious Enemy. Hunters of Dune is the exotic odyssey of the crew as it is forced to elude the diabolical traps set by the ferocious, unknown Enemy. 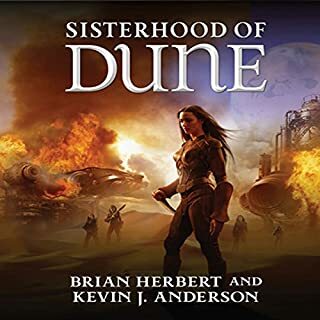 To strengthen their forces, the fugitives have used genetic technology to revive key figures from Dune's past, including Paul Muad'Dib and Lady Jessica, so their special talents will challenge those thrown at them. Failure is unthinkable. Not only is their survival at stake, but they hold the fate of the entire human race in their hands. 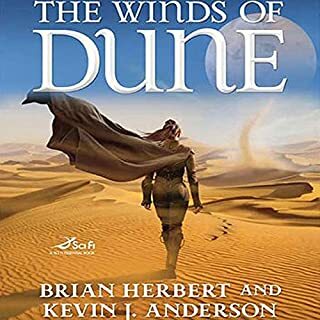 Hunters of Dune feels like a continuation of the Legends of Dune series rather than the original six Dune novels. The general story is fairly interesting, but the individual subplots and characters lack the important subtleties of Frank's original series. For fanatics of Dune, this is a must-read glimpse into Frank's vision for the direction of the series. Unfortunately, even the authors admit in the introduction they could never match his writing abilities. 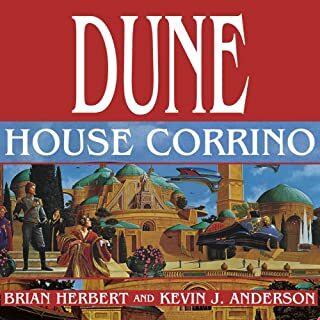 Personally, I wish Brian Herbert would simply publish the all of the notes and outlines that Frank and quit writing Dune books. * Scott Brick reads this book with a melodramatic tone (think William Shatner parody). * Each chapter was too short; just as the plot picked up, the authors changed to a different plot. * Many of the characters were underdeveloped and lacked the subtle details that really humanized the characters. * Too much time was spent reviewing all of the "prequels". In the first 4 hours, at least 2 hours was spent repeating material from prior books. * Authors go out of their way to include material from their spin-off books, even at the expense of logical or common sense. * The book is written to a 7th grade level. Harry Potter has a more advanced vocabulary and sophisticated plot. * Some sections feel "padded" to stretch the story out to fill two novels. There's a sequel due out next year. * Authors use bad plot devices and cliched techniques to create suspense and drama: to create a misguided sense of danger, they use a vague third-person reference like "the pit boss" or "the Reverend Mother"; that's a dead give-away that it's not who you think it is. * Bad analogies and too much flair in descriptions. * Authors lack subtleties. 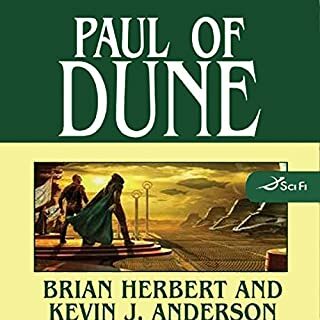 Compare Frank Herbert's style of refering to about axolotl tanks with Brian/Kevin's style. I feel no disgust or revulsion when listening to B/K. Childish, shallow, non-regal characters. No minutiae or plans-within-plans-within-plans. Scott Brick did the best he could. They claim to have used a trove of notes from Frank Herbert to write the two Dune 7 books. The only way that's true is if they scrawled their garbage over Frank's notes to conserve paper. The Golden Path becomes your generic "savior unites humanity for the final showdown" rather than a continuous process preventing mankind from stagnating, there's no way their interpretation of the Butlerian Jihad came from Frank, people randomly pop into shared memory for no reason even though that's not how any of this works. I'm just going to pretend none of this ever happened; the series ended with Chapterhouse. 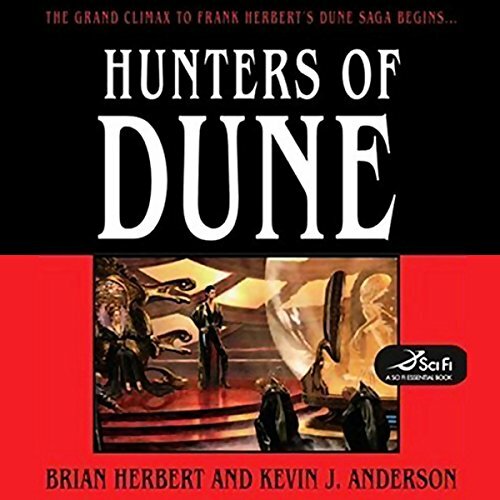 Although an interesting listen (I give it about 3.5 stars), I found Hunters of Dune to be more a description of what has occured than a re-enactment. I fealt removed rather than immersed in the story. 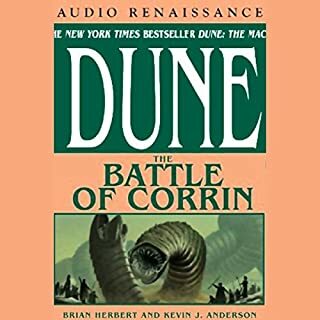 For Dune fans, I expect it will be worth the listen. 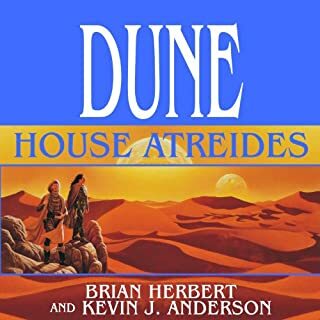 If you are new to Dune, this is not a good place to start. I miss dialog and interaction. 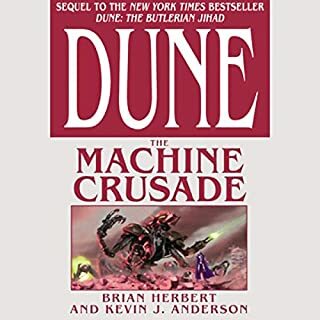 I'm a huge fan of Dune, and have read every book (except this one, which I listened to). I really wanted to like this story. Overall, very disappointing. The story attempts to re/hash previous characterization, plots and storylines to onboard new readers who haven't consumed previous novels - and this is ultimately boring for the seasoned customer. 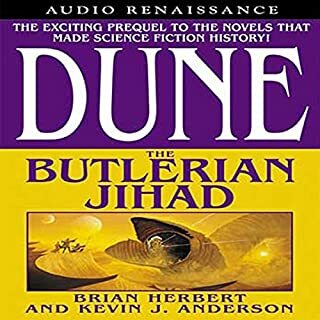 At the same time, the authors make vast assumptions about listeners knowledge of the Dune universe. The net effect is that both new and old listeners are left unfulfilled. Plot developments drags incessantly, and doesn't improve, even after reaching the 12 hour mark. Narration is not compelling enough to carry the lack of plot or storyline. The voice characterization was...not impressive. The Ghola theme as it is applied really doesn't produce any genuine interest that is sustainable. I've read reviews of this and thought they were exaggerating about how bad this book is, I was wrong. The story is inconsistent, repetitive and not enjoyable. The high point is Scott Brick, an excellent narrator. 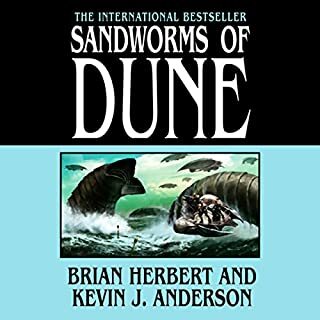 If you enjoy the original six Dune books ignore the new books. They are all commodity sci fi at best. This isn't an extension of Frank Herbert series, its poorly written fan fiction. 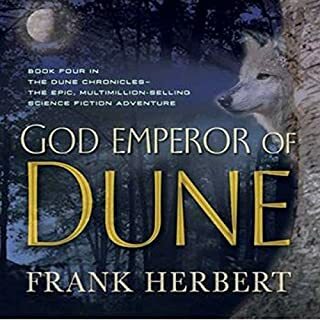 Frank Herbert's genius will never be matched or even emulated successfully. 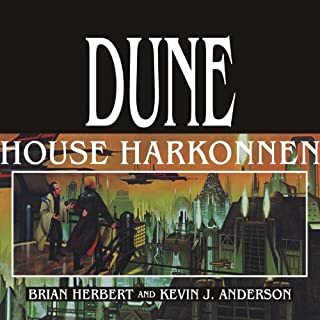 Granted, Brian Herbert and Kevin J. Anderson gave the disclaimer in the beginning that they wouldn't be able to match it, but several times there were some really weak emulations that just made me angry, like the way the word 'generous' was used in previous books, it's like they threw it in just for a bit of nostalgia. 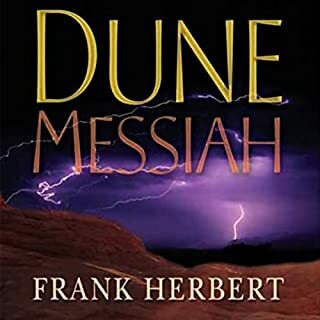 I agree with one of the other reviewers here, that the original outline of Frank Herbert's should be released in unedited form. 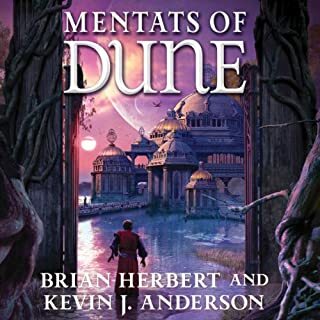 I don't have anything to back this up, but this book seemed to be wholly written by Kevin J. Anderson, read the 'Saga of the Seven Suns' series and you'll see what I mean, his personal style is all over this. Unfortunately, for me this has been such a clash in writing styles that I can barely make it through this book. I hope the original manuscripts/outlines will be published in full someday. A little drawn out in spots but a real page turner otherwise. Could use more of Frank's narrative prowess. 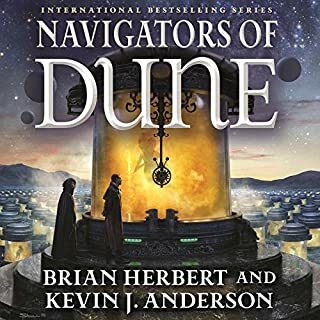 As a fan of the Dune series, I thoroughly enjoyed this continuation of the story. While it didn't have as many intermingled layers and undertones as Herbert's originals, it was still an extremely pleasant listen. 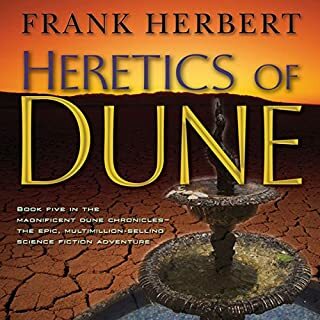 I think it would be unfair to expect anyone, even family, to be able to fully realize Frank Herbert's full vision, voice, and style. 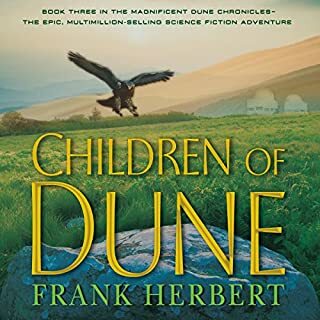 I enjoyed Hunters of Dune in almost the same way I enjoyed the Silmarillion, as a fantastic addition with an interesting background. Scott Brick is a fantastic narrator. His performance gives flesh to the story almost as well as the imagination itself. Definitely down hill from the first issues in the "new dune" saga, which were well written and a great listen. This is vapid stuff and the reading is really atrocious! Brick ruins the experience with a level of melodrama that just had me retching. I mean must every single sentance and paragraph have an 'end of the world' urgency? And they are all read with the same intonation. I listened to the entire book anyhow, just to see if it got any better. This is a very lonnnnng book to listen through with not very much happening. Plot development: long, boring, and weak. Character development: I did not develop empathy with a single character. Maybe Sandworms will make it worthwhile, but I don't think I can stomach the reading.